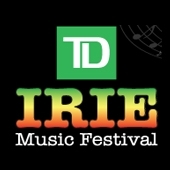 The very first TD IRIE Music Festival was presented in 2002 in collaboration with the Toronto Urban Music Festival. IRIE Music Festival has since continued to expose culturally diverse artists to hundreds of thousands of fans while providing the larger community with a unique opportunity to celebrate African-Canadian culture. The TD IRIE Music Festival is widely recognized as a world-class event offering the highest quality of reggae, world music genres including Latin and African, and gospel music to our community every summer. Over the years visitors to the festival have been treated to internationally known artists such as Maxi Priest, Toots & the Maytals, Third World, Freddie McGregor, Steel Pulse, Morgan Heritage, Leroy Sibbles, Fab Five, Byron Lee & the Dragonaires, Bunji Garlin, Faye-Ann Lyons, Sugar Minott, Ernest Ranglin, Hilario Duran, Roberto Linares Brown, Half Pint, Richie Stephens, Richie Spice, Gyptian, Bushman, Gramps Morgan, Wayne Wonder, Shurwayne Winchester, Kerwin DuBois, Dawn Penn, Liberty Silver, Lillian Allen, Errol Blackwood, LUST, Esco Levi, Humble, Comfort, Ammoye, Samba Squad and many more Canadian reggae, soca, latin, gospel and soul/r&b artists. Dance groups have been integral to the TD IRIE Music Festival since its inception. Dance Immersion, an umbrella organization dedicated to showcasing African Canadian dancers as solo and group performers continues to be a very popular fan favourite with a Summer Dance Showcase as part of the annual festival presentation. These include dozens of critically acclaimed Canadian dance groups including: Ballet Creole, Ngoma, Caribbean Dance Company, Caribbean Folk Performers, Ijo Vudu Dance Company, Jose Angel Carret Morejonis, Tamsir Seck, Kashedance, Jasmyn Fyffe Dance, Lua Shayenne to name a few and international guest performers, the Harambe Dance Company from New York. Starting in 2005, the IRIE Festival has included a literary program featuring Canadian writers/authors and poets of African and Caribbean heritage at the festival. Past authors including award-winning Caribbean Canadian writers, Olive Senior, Judy Powell and Myrian Chancy. It is the belief of festival organizers that this literary component has helped us to better understand who we are and better reflects Canada to Canadians. In 2009, programming also included a special panel on Emancipation Day. Panelists included Rinaldo Walcott, Associate Professor and Canada Research Chair of Social Justice and cultural Studies at the University of Toronto; Rose-Marie Sadler, President of Ontario Black History Society, and Haitian Canadian author Myrian Chancy. program Programming has also featured a tribute to the late Louise Bennet-Coverly aka “Miss Lou.” Readings, panel discussions and onstage interviews featuring noted authors and poets as well as new and emerging writers. IRIE literary program has featured authors/poets including Dan Hill Jr., Dr. Afua Cooper, Klive Walker, Dwayne Morgan, and Heron Jones among others. Film and visual arts have also been important additions to the TD IRIE Music Festival over the years and has enhanced the festival experience for visitors to this event in Toronto. With free and paid music events, educational, professional development, networking opportunities as well as an awards presentation, IRIE Music Festival strives foster, develop, support and champion a vibrant, dynamic contemporary music and arts community in Ontario, thereby building and enhancing communities through the arts. More than just a music festival, TD IRIE Music Festival also celebrates the Canadian-Caribbean and African Diasporic arts through a multi-disciplinary programming focus that includes the development of opportunities for music and multi-disciplinary artistic talents of culturally diverse Canadian artists. Annual programming includes workshops: music, dance, visual and spoken word performances and exhibits. The TD IRIE Music Festival at Toronto’s Nathan Phillips Square runs annually during the first Civic weekend of August, and now includes TD IRIE Mississauga at Celebration Square. In July 2013, residents of Durham Region was treated to IRIE Oshawa. IRIE Oshawa is now on hold. 2002 First edition of the IRIE Music Festival presented as a free event at Nathan Phillips Square. 2006 IRIE Music Festival presented as a paid event at Ontario Place in addition to free programming at Nathan Phillips Square. 2007 IRIE Music Festival presented at Queen’s Park in addition to Nathan Phillips Square and Ontario Place. 2008 TD IRIE Music Festival returns to a fully a free event held at Nathan Phillips Square and Queen’s Park. TD Bank signs on as the title sponsor. 2009 TD IRIE Music Festival continues to grow. An estimated 50,000 visitors attend 3-days of programming at Queen’s Park despite the cancellation of Nathan Phillips Square programming due to the 35 day Garbage Collectors strike. 2010 TD IRIE Music Festival presented at Yonge-Dundas Square for the first time in addition to Queen’s Park and Nathan Phillips Square. 2011 TD IRIE Music Festival presented at Queen’s Park, Yonge-Dundas Square and Nathan Phillips Square. Programming at Nathan Phillips Square reduced to film screenings due to reconstruction taking place on the square. The inaugural IRIE Music Awards event presented at The Phoneix Concert Theatre to critical acclaim. IRIE Music Festival Incorporated registered as a not-for-profit corporation in Ontario. 2012 TD IRIE Music Festival celebrates 10th Anniversary and announces expansion of the festival to include a third TD IRIE Festival stage at Mississauga’s Celebration Square. Public Mobile comes onboard as a sponsor. 2013 IRIE Oshawa was added to Toronto and Mississauga providing a GTA footprint with over 100,000 in attendance. 2014 TD IRIE Music Festival Toronto and TD IRIE Mississauga takes place at Nathan Phillips Square, August 1 – 4, and at Celebration Square, August 23 & 24.